City officials have begun work with us. Discussions about possibly putting information about water fluoridation on the city website are underway. Some progress with the Water Works is also underway. These are positive signs! Anniston AL is a wonderful city and we would all like to see it prosper and grow. Let's put the past behind us and strive for a brilliant future for Anniston and all it's residents, future residents, businesses and visitors. They are going to great measures to suppress the truth about Anniston's water & other issues in this town. PLEASE share this with everyone you know! "Safe Water Activist Confronts Water Works"
For over a year all information regarding this important topic has been brushed aside my our city leaders. Emails go ignored or deleted. Letters go unanswered or lost, etc.! This study just out 2-15-14 lists 'fluoride' as one of the many chemicals which are harming our children. 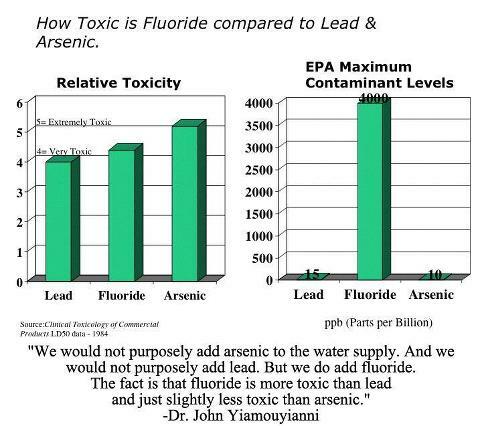 Out of all these hazards, fluoride (really hydrofluorosicic acid here in Anniston & 70% of the US) is the easest to stop! Our city leaders have changed Sunday alcohol sales, smoking laws, & built a bike path over PCB contaminated land but refuse to address this topic! They have turned it over to the Anniston Water Works & Sewer Board who have also failed to any research & only rely on the recommendation of a dentist or two. Or maybe they are bought and paid for by the industries that gain from them disposing their industrial waste trough our water supply. Tune in tomorrow morning to WDNG 1450 AM (streaming @ http://www.wdng.net/ if you don't get AM radio). I plan to call in about this latest study. 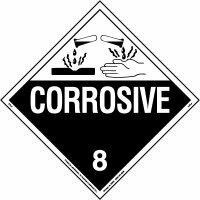 Chemical weapons experts said that although the two substances (sodium fluoride and potassium fluoride) have a variety of uses such as the fluoridation of drinking water, they are also key to producing the chemical effect which makes a nerve agent such as Sarin so toxic. Questions: Chemical weapons used in Syria - BAD = WW3? Same chemicals used in the US through the public water supplies - NOT BAD?